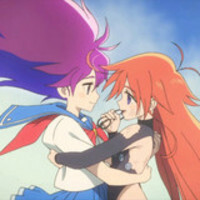 Crunchyroll - FEATURE: Queer Discovery in "Flip Flappers"
FEATURE: Queer Discovery in "Flip Flappers"
The girls of Flip Flappers find more than amorphous in the world of pure illusion! The following is from @illegenes, who can be found on Twitter and the blog Isn't it Electrifying? What did you want to be when you were ten years old? A scientist who saves the world? A doctor who finds the cure for cancer? A writer that captivates the hearts of millions? (I personally, was pretty boring in comparison to those choices; I wanted to be a falcon trainer, of all things!) At that age, the answer seems simple. The future after all is like a vague thing; you just have to get there - the figuring it out part will come just fine. As it turns out, figuring yourself and who you are is an incredibly messy thing. You have to figure out what people want from you, what you want from you, what you want from people, and it's all quite frankly an embarrassing set of years that you try not to dwell on, because it is weird! And guess what? So is figuring out that you're queer at that age too. Flip Flappers understands this on an incredibly creative level, and goes as far as to intertwine both experiences into a package about the importance of self-exploration and identity politics. 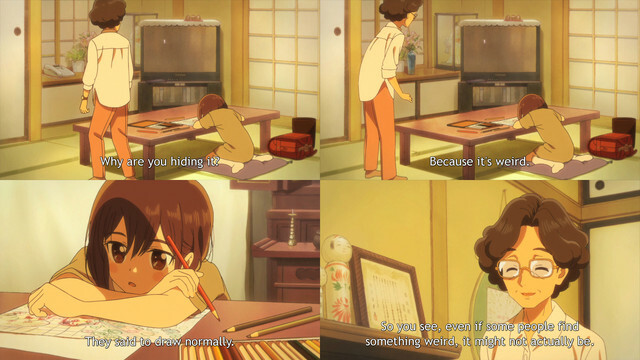 It is also a love message to all the funky genres of anime as much as it is a commentary about the artistic experience. It ennobles creativity as an essence of learning. Flip Flappers is honestly a lot of things, some which have been wonderfully discussed and others that still fly by over my head. But to me personally, it's a heartfelt story about what it's like to grow up realizing you're different. Maybe you realized it when you were ten. Or maybe you realized it ten years later. 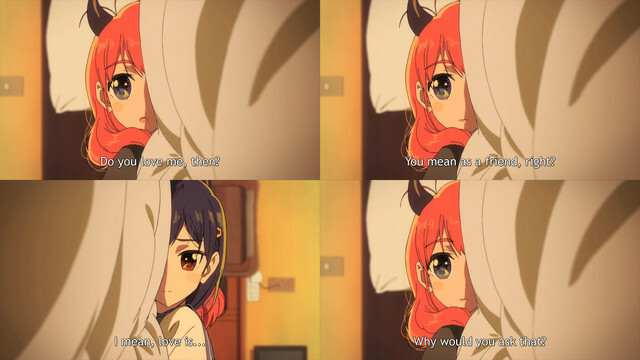 Either way, Flip Flappers nails the anxiety, guilt, and fear that one feels when confronted with the fact that they are not heterosexual as much as society - and perhaps themselves - wants them to be. At first glance, Flip Flappers is a story about two girls journeying inside self-contained, surreal worlds to obtain gems that will grant a wish. Upon further investigation though, each episode is both a vignette that contains homosexual tropes and an insight into Cocona's coming-to-terms with her suppressed sexuality. The first episode is reminiscent of many one-shot yuri stories where very briefly, you collide with another girl and end up developing feelings for her. 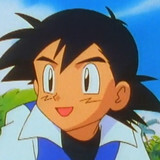 In the second and third episodes, sexual undertones creep up and are established for the majority of the show. In the second universe they travel to, Cocona and Papika are transformed into rabbit-like girls, with an inherent hunger to 'bite things'. Papika, being the free creatures that she is, goes ahead and searches for the first thing she can get her hands on. Cocona on the other hand, relentlessly tries to curb her hunger. She salivates to gnaw, but it is only when she is constantly surrounded by phallic imagery that she gives into her impulses, and finds something to bite on. 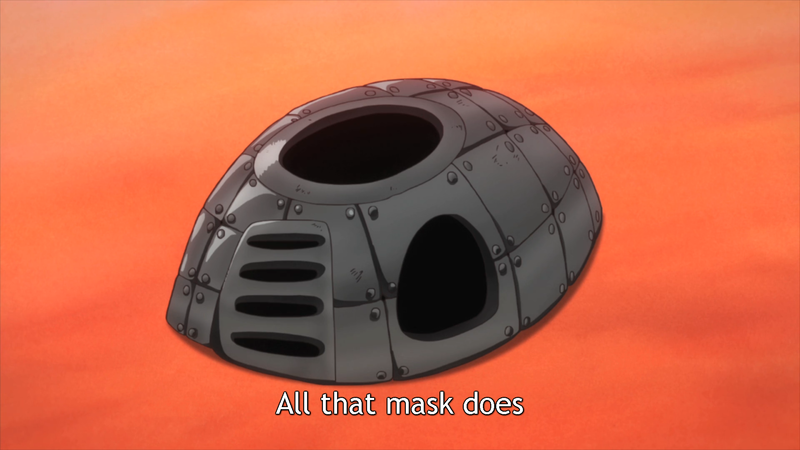 In the third episode, Cocona and Papika land in a Mad Max: Fury Road-like world where Papika must save Cocona, who has been possessed by an evil mask given to her by an extremely sexual being. Cocona only breaks out of her mask when she realizes she doesn't actually dislike Papika. The imagery in both of these episodes strongly suggests that Cocona has sexual feelings, but does her best to hide them, in an attempt to be the quiet 'good girl' stereotype we often expect from young girls in society. Once you scratch an itch however, it only becomes bigger. Episode 5 takes Cocona and Papika to a horror landscape, filled with homages not just to horror movies but also girl/girl tropes we often find in anime. Here, Cocona and Papika are trapped in an all-girls school where they are forced to loop their close interactions and monotonous class activities over and over. The stagnancy and horror of these bonds never going past 'friendship' text is incredibly similar to the Class S genre that we find in manga. Cocona ultimately decides to break this safety net of never reaching a threshold and breaks the loop. It's not just a step forward in Cocona understanding her budding feelings for Papika but a step forward in Cocona understanding that she can no longer ignore her lack of self awareness. Hushed whispers and oppressive color duality hint that Iroha's aunt may have been queer as well, but perhaps the most striking subtlety is when we see that out of the two, Cocona is the one to fully immerse herself in the memory, as if she deeply connects with it. This overlaps with Episode 7, the pinnacle of Cocona's self exploration as she cycles through stereotypes of anime relationships - the Bad Boy, the Punk Boy, the Little Sister, the Creepy Obsessive Stalker - in the attempts of finding a box she can fit her relationship with Papika into. Her journey shows her that they are all of these and yet none of them; isolated and fractured reflections, nothing more. It is only when she stumbles upon a more sexual Papika in a love hotel where she gets her answer: the one who's lost isn't Papika, but Cocona, in determining what Papika really is to her. And it all comes clear in that moment: No one grows up, asking to be queer. Cocona certainly didn't. It happens to you, like a faceless ghost in a dark corridor, like a gnawing need, like a relentless brutal fight, like an messy canvas filling up with colors and shapes. It is terrifying. It is wondrous. It's weird, messy and joyful. It makes no sense and will continue to bite at you through your experiences and relationships until you learn that it's inherently a part of you, and that's okay. One could argue that all of this is subtext; a reflection after all, is just an image in water that disappears as soon as you reach out to touch it. Nothing is explicitly stated in Flip Flappers. But I find that its abstract and surreal nature is a reminder of the importance of subtext: the soul that allows us to reflect our own nature into a piece of work. 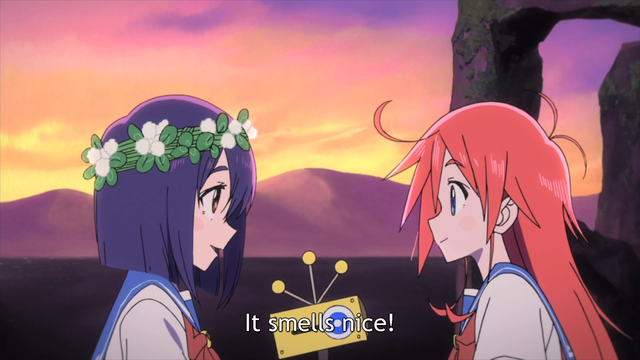 It is that trait that pulls me into the myriad of worlds Flip Flappers creates almost effortlessly, and it is also that trait that allows me to remember my own experiences of discovering queerness and coming to terms with it. You can find more of @illegenes at the blog Isn't it Electrifying?